You can’t achieve financial freedom in one big step, in one big leap. What it takes is a lot of little steps. So what you need to start doing is looking for little actions you can take to grow your financial freedom. It took me about a solid 10 years of working online before I achieve financial freedom through my online businesses, but I didn’t achieve financial freedom all at once and it wasn’t one thing that led to my financial freedom. Financial freedom actually comes one tiny activity at a time. If you can hear the echo, I am actually moving house and as you can see there’s a fair bit of mess and not a lot of furniture left. It’s been a big job trying to clean up this house by myself and it reminds me of a saying that my old manager gave to me, which is how do you eat an elephant? One bite at a time. Now I’m vegetarian, tiny animals. I wouldn’t eat an elephant, but I really like that analogy. How do you achieve something big one tiny bit at a time. You just take the next step and move towards that. Now this echo is going to really annoy some of you and I bet the mess behind me is annoying. A lot of you as well. So I’m just going to move into another room. Alright, so the echo is probably a little bit better now, but the rooms just as an se, so let’s go ahead and shut these doors and pretend that everything’s okay and everything’s clean so you can’t achieve financial freedom in one big leap in one big step. It comes through a lot of little actions that you take in order to achieve that goal. And so what you need to do is to start looking at what are the little actions that I need to take to actually achieve that goal. So myself and with the way that I look at it with the way I look at financial freedom with the way I look at growing my wealth and growing my business. I have my big goals of financial freedom, how much income I want my business to generate. I set those goals. I’m passionate about those goals, those goals ground me and drive me forward. But rather than focusing on those goals, I kind of put those goals in the back of my mind and I focus instead on what are the things that I need to do in order to achieve this goal. So rather than wishing and dreaming and hoping for this particular thing, I’m actually using that to drive me, yes, but my focus then becomes what do I need to do and who do I need to be in order to achieve that big goal that is granting me and that is pushing me forward. 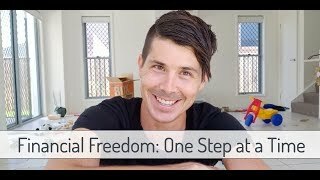 And so if your goal is financial freedom, there’s so many different ways that you can go about achieving that, but you need to work out what are the little steps that I need to take? What are the daily actions I need to take? What is the type of person than I need to be able that I need to become in order to achieve that goal? And it can start with something as little as creating one passive income stream. So right now you might be working in a job and you have source of income, but it’s on a passive income because you have to keep going to work in order to earn that money. And if you start going to work, then the money is going to be cut off and you won’t receive it any more. So what you might need to do to get yourself started is to say, okay, I got a big goal that was out here. Now it’s in the back of my mind. That goal is financial freedom. What do I need to have in order to achieve financial freedom and it’s have multiple sources of passive income, and then who do I need to become? I need to become someone who can create assets that generate passive income, become someone who can make a lot of money. So I’ve got free money to invest to buy assets that create that income or I to be someone who can invest really well and then reinvest my profits to grow it from there. So you look at the steps that you need to take. You need to start acquiring passive income strains and the person that you need to become is someone that is good at earning money. Someone that can create assets or someone that can purchase assets and so rather than instantly going out there and trying to look for a way to get rich, think of this as a journey towards becoming that person. Then you need to become to achieve financial freedom when it comes to any skill, whether it be making money, whether it be investing or whether it be something as simple as playing a sport. You build up that skill over time, you become better over time and to build up a skill, you need to focus on one small aspect of it, develop that and then move on to the next aspect and the next aspect. For example, if you’re learning to play tennis, you’ll start with being able to hit the ball back and forth. You will learn how to serve and then as you improve, get an overall grasp of the game, but you won’t be very good. This is like when you’re investing, you start investing to generate passive income streams, keeping passive income as your focus. You’ll invest, but you won’t be very good. You won’t get great returns. You won’t be very good at creating passive income assets. You won’t be very good at leveraging and growing those quickly. You’ll have an overall grasp on it. You’ll be doing it. You’ll be moving in the right direction, but it be really slow because you just won’t be very good at it. The same with when you start playing tests, if you try to compete against better people, you’re going to lose because you’re just not very good, but by continually applying yourself and continually practicing, you’re going to improve your skills and investing. You’re going to improve your skills at making money. You’re going to improve your skills at creating assets and so by focusing on doing the daily actions that are going to make you become this person who can make lots of money, but realizing that it’s a process and that you had to start small. You have to learn small. What I don’t like about people when they’re talking about investing in the share market and things like that is that they have one particular strategy which I think is a great initial strategy. Obviously you want to time the market cycles and things like that, but looking at investing in things like dividend paying stocks. That makes huge sense in the beginning and stock market tends to perform pretty well over the long term. Getting that passive income from dividends is great as well, but if that’s all you’re doing, it’s going to be a very slow process. In order to become financially free. It’s going to be a slog. It’s going to be difficult. You’re slowly invest. You might invest a thousand dollars here, a thousand dollars there, $5,000 here, and you’re slowly grow your portfolio and slowly grow your passive income, which is great. If you haven’t read it yet. Do check out the book, the $1,000 project by Canna Campbell, which I’ll link in the description down below. I’ve also done a review on that book which I’ll link up to as well, but she talks about saving chunks of money in a thousand dollars and then investing that into the stock market or using it to pay off debt. And I think that is great and that obviously compounds over time, but what I don’t like is that set. That strategy is so simple that you’re not developing yourself. So if you’re just doing that and you’re not looking at ways of expanding your income, then you’re going to be on a very slow path to financial freedom. If that’s your simple investment strategy, great. You don’t need to think about that anymore. You’re not using your brain in order to invest in that to pretty simple strategy. So then what you want to do is apply your brain to how you can earn more money. Now that might be earning more money in your job by getting a promotion, by getting commissions, by whatever it may be, or it may be applying yourself to making money on the side. Maybe you’re doing value arbitrage where you’re purchasing stuff for cheaper and then on selling it. Maybe you’re creating a side business, offering a service, but take time. Use your mental energy to focus on how to make more money because that will then speed up the process of growing your investments. 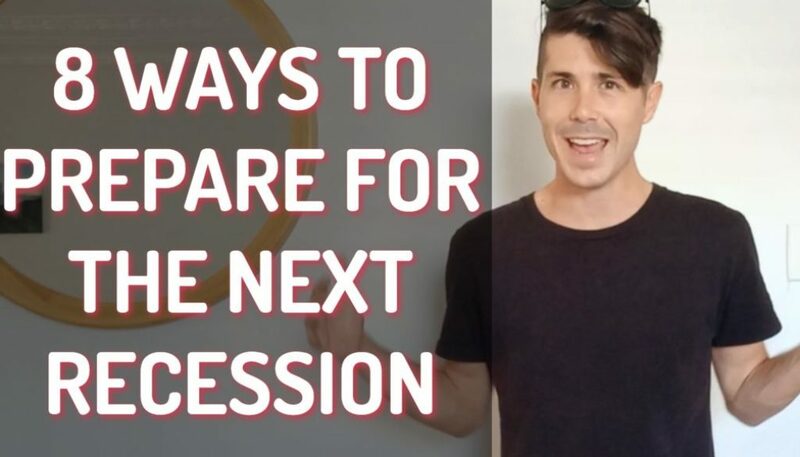 Because if you’re a slowly investing and you’re just earning the same amount of money every year and it’s not quite enough, you’re going to get there eventually, but it’s going to be slow. But you have so much mental capacity, you have so much power in your brain, so much creativity. Your mind will solve problems if you can apply yourself and put your mind to the task of solving these problems so you want to be challenging your mind and asking your mind hard questions. How can I make more money for me rather than investing in stocks rather than looking at earning more money through my job rather than even looking at earning more money directly through my business. I looked at ways that I could create assets, so I create online assets, website content that delivers me passive income so I will create content, put it up online and some people’s questions, things like that. Videos like this, people like you find it for years to come and so I will put in the work and then for years that content will help people, but that’s also people visiting my website which might click on advertising or they might use, might sign up for pumped on property. The buyer’s agent after listening to me, and they’re going to help you invest in multiple properties, you’re going to be moving to financial freedom, but if you let them know that you came from Ryan at pumped on property, I get a referral fee for that, so there’s videos that I did years ago with Ben that are still referring people to his buyer’s agency and then I’ll get a referral fee for that. I always like to be transparent about that stuff, but on properties. One aspect of it, but I have a bunch of other websites as well, so my focus became, okay, how can I create assets and become good at creating assets along the way? I got decent at it. 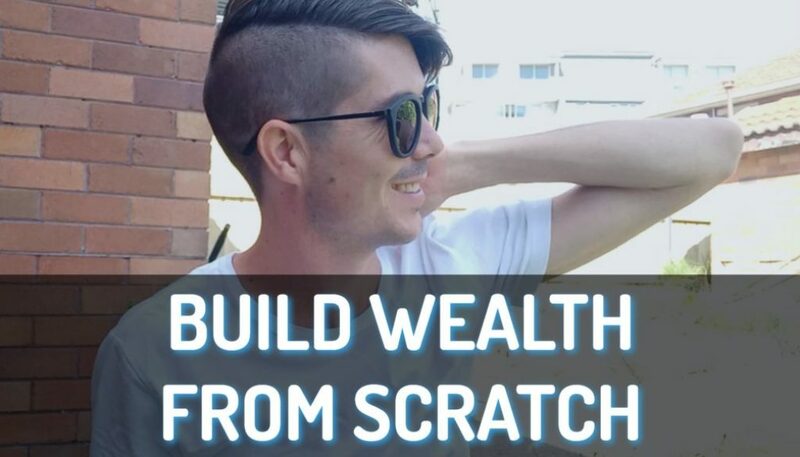 I was able to create good enough quality content and enough of it that I built it up over time where I had enough passive income, so my focus was how do I build asset from scratch that generate passive income. Now recently, as if you’ve seen any of my other videos, you would know that some of my businesses went backwards a little bit. My expenses went up and so I was in a position where I was no longer financially free, so what I did instead of looking to invest, instead of looking to grow my income from the work I was doing, I just went back to building assets and back to focusing on that and I’ve got long term goals of a certain income level that I want to reach. Haven’t actually decided on what it is, but it’s either going to be like 300,000 a year, maybe $500,000 a year that I’m going to aim for in passive income, but I’m going to do that by creating assets that are going to generate passive income. So who do I need to become to grow my business? To that point? Well, I need to become someone who can create high quality content pretty quickly. I need to become someone who can create multiple forms of content per day. I need to become someone who can manage people, manage a team of writers or editors or whatever it may be, so that I can leverage other people’s time to grow that. Now for you, you might not own a business and might not be running your business and need to learn those things, but as you can say, I’m like, okay, to get from where I am now to where I want to be, I need to become a different person. There’s things that I need to learn in order to become that person. How do I learn those things and what actions do I need to do to become that person? 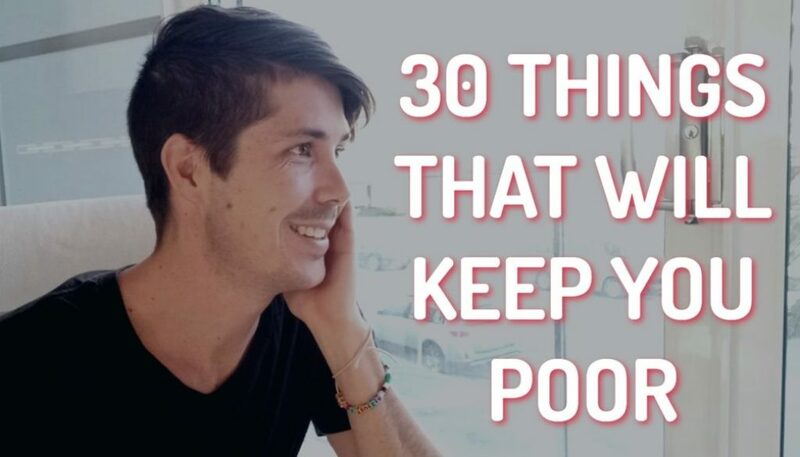 So you kind of focusing on two things. There’s actions that you take that lead you towards your goal, but there’s also actions you take that lead you to become the person you need to become to achieve that goal. I’m hoping this is making sense, but basically so things like investing in the stock market, a thousand dollars at a time, right? That’s actions that you can take and if you do that every week, every month, however often it is that you do it. You taking little steps towards your goal because every time you invest, you’re now getting more dividends, so your passive income is growing, so their steps towards your goal. Then you’ve got steps towards becoming the person that you need to become so that might be learning about investing so you invest in better stuff so you get more dividends, or it could be learning how to earn more money, so starting a side business, growing your income through your career, so that’s you progressing towards becoming the person you need to become. Now, ideally you want these things to be working in tandem so you’re taking the steps towards your goal outcome, which is financial freedom, so you’re investing a bit at a time, but this other journey of becoming the person that you need to become also accelerates your financial freedom because as you’re earning more money, you can then speed up the times you invest with the amount of money that you invest. The same goes with property investment. 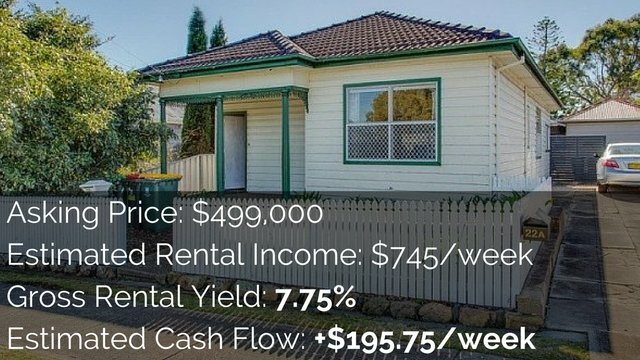 If you’re saving for a deposit to buy a property that can take you time. If you can earn more money, you can save deposits faster. If you can invest better manufacture growth, that can allow you to leverage into another property faster. So you’re going to be taking those actions towards financial freedom. So no matter what you’re progressing towards there, but you also want to become a bigger person, a better person at the same time, and that’s going to accelerate the journey so you want to be doing both of those things at the same time. So for me in business, I’m creating content at the moment, not at the level that I would like to be, none of the frequency that I would like to be, but I’m also focusing at the same time on improving, becoming better and looking for ways that I can be better and be faster. So each time I release a new piece of content and taking those steps towards building my assets towards financial freedom. But each time I’m creating that content as well. I’m learning and becoming better at doing things faster, at doing things better at growing my channels in my website and things like that. And so that journey of learning. So while I’m taking the steps towards financial freedom, I’m also learning which is then going to accelerate it. So when it comes to financial freedom, it’s not all going to happen all at once. It’s not all going to happen overnight with one big step. It’s going to be a journey of daily actions that you need to take in order to get towards that goal, but rather than just being a mindless Zombie and just investing $1,000 at a time as you can spare it, take all that extra energy that you have taken, all that capacity that is in your mind and start asking yourself difficult questions like, how can I make more money? How can I build assets from scratch? How can I invest bed off so that I make more dividends or that I get capital growth on top of that and then my dividends grow over time? 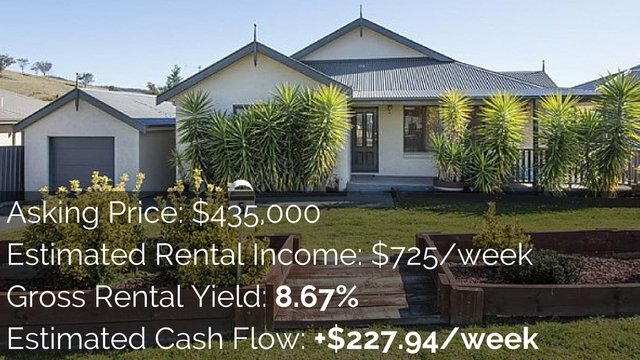 Or how can I invest in property and buy under market value or manufacturing growth through renovation or get cashflow through building granny flats, you know, expand yourself that way. So don’t just take the steps towards financial freedom, but go on the journey of becoming the person that you need to become where financial freedom is just easy for you. I want to be there in maybe three, maybe five years, 33, 35. Let’s go 33, that sounds younger than 35. At the age of 33, I want to be in a position where looking back, creating assets, creating a high level of financial freedom, not just baseline financial freedom, which I had in the past because of who I am as a person that is now easy for me, that I look back and I’m like, oh my gosh, I was struggling back then at 30, but now that I’m 33, this is so easy and I’ve accelerated myself and growing myself so much that I needed to do it again. It wouldn’t take me three years. It wouldn’t take me five years to do it. That if I needed to do it again, I could do it in six months or three months that I would grow. To become a person that sees financial freedom as something that is simple. Something that is easy, something that’s inevitable because of who I am and what I do. So I want to encourage you today. If you’re on the journey to financial freedom, focus on doing it one step at a time, but focus on consistently becoming better and consistently moving towards becoming the person you need to become. We’re financial freedom is simple. Financial freedom is straightforward. 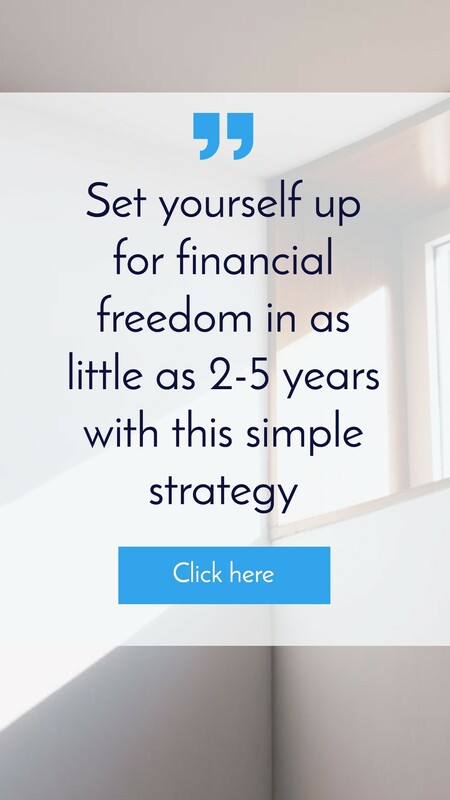 Financial Freedom is easy and almost inevitable because of who you are as a person, so I hope this encourages you today to think about what are your next steps in your journey to financial freedom. If it’s saving deposit, what are your next steps to create your budget or to spend less money? If you got a deposit, you ready to invest, what are your next steps? Talking to a mortgage broker, talking to a buyer’s agent, looking online, researching starbucks, whatever it may be, work out those next steps. Go out there and do it and be learning along the way to become a better person and someone who can achieve financial freedom easier so you can go ahead and accelerate that. Thank you so much for tuning in to this episode. I’m going to finish this off by again, entering this echoey room with lots of stuff everywhere. I’m getting there, right, but how am I going to do this? How am I going to pack up this entire house? My going to do it in one big go? No, I’m going to do it one step at a time. I’ll sort through that box and that box and that box. I will clean up the kitchen. I will take all of these little steps to get this house done and the same with financial freedom. It’s a bunch of little steps that are going to get you to where you need to go. Now, if you want to know more about how I achieve financial freedom, I do create a video on how I achieve financial freedom at the age of 28, so I will link that up. Go ahead and watch that now to learn how I did it. I’ll link it up and down below as well. Thanks so much for tuning in today and until next time, stay positive.